Please find more details about this project on our PRODUCT DESIGN. 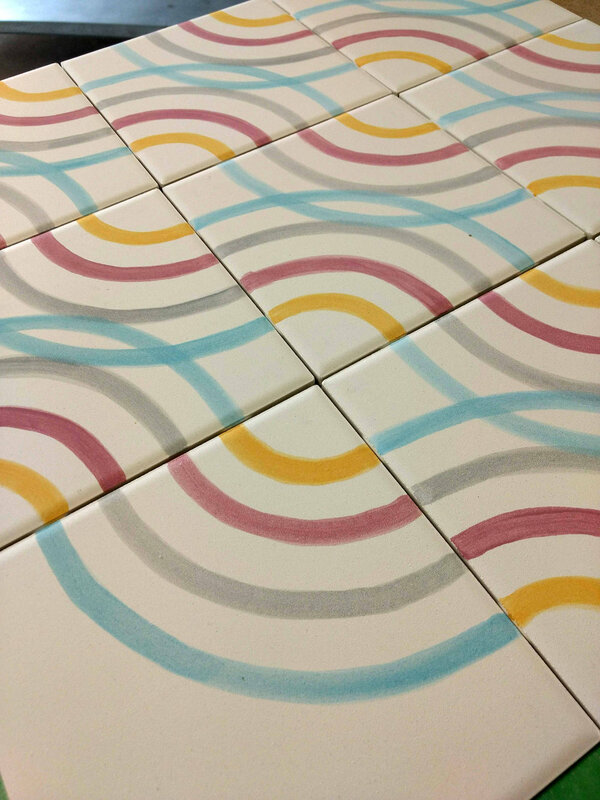 These tiles are for sale in our STORE. 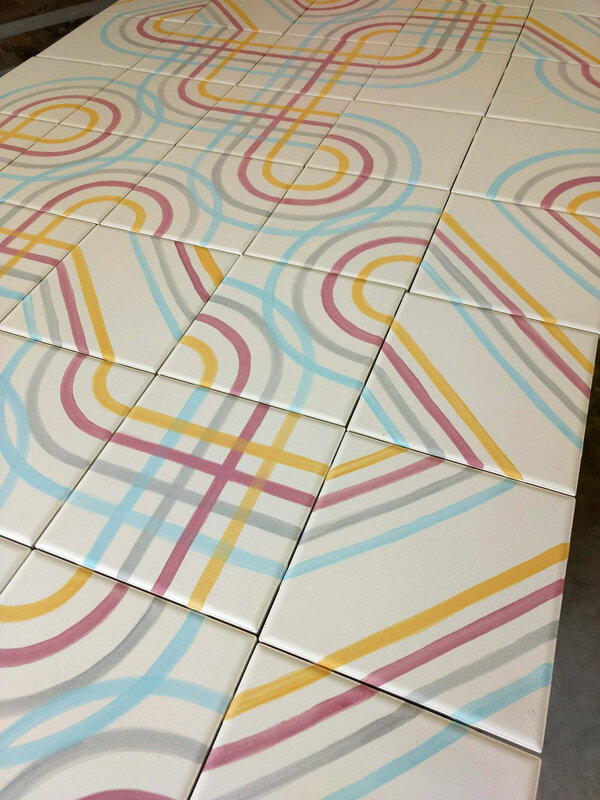 Please contact us for details on custom ordering a batch of tiles for your next project. Leavenworth, WA is a beautiful and enchanting place not because it is host to the Leavenworth International Accordion Festival (although that is a big draw) or because the town looks like Disney made a movie about a Bavarian Village, but because of everything else that exists outside this teutonic mirage. We first visited in June 2017 at the beginning of our Treibtravel tour to visit old college friends Mijanou and Steve Fortney. Other than when we forced them to go get schnitzels with us we realized that while tourists are filing onto buses with faux German trinkets, locals are just outside of downtown Deutschland dropping river rapids and crushing mountain bike trails. The other thing we noticed were all the fantastic organic vegetables and handmade crafts at the regular farmers market that is conspicuously missing any Germanic theme. My friend Mijanou is one of the artisans working in Leavenworth making her MF Pottery tableware and mugs that you will see around town where ever there is worthy coffee to be poured. She also manages the the Tierra Learning Center Ceramics Studio teaching workshops and classes. After seeing the studio and throwing my own ceramic ware the previous year with Ali, the wheels in my head began turning on what I could make if I ever came back. See post #9 from Treibtravel for more on our first visit to Leavenworth. A little more than a year later in August 2018 I was back in the PNW and I was rolling a thought around in my head that I had started considering in Sweden a few months earlier for a modular pattern system. The idea was to make different modules that naturally connected so that any arrangement of the elements would result in a unique graphic or pattern. 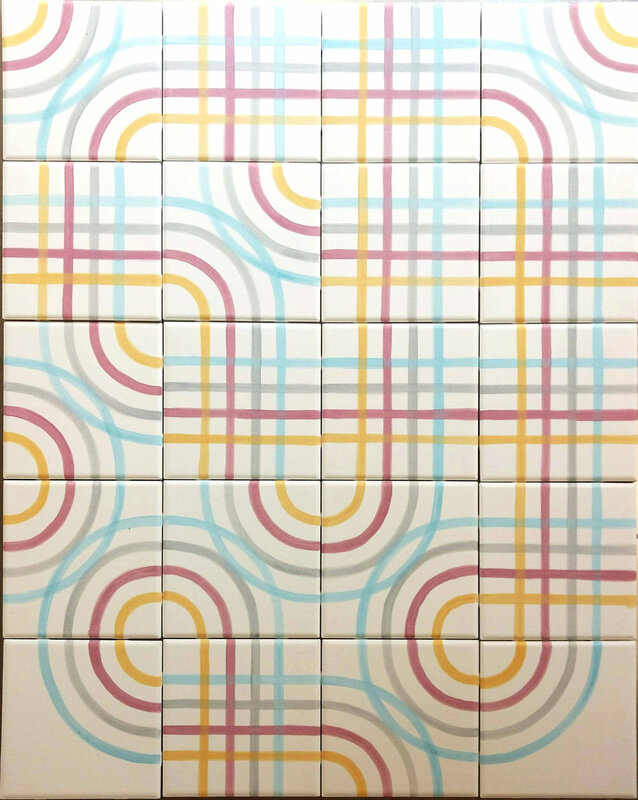 To realize this idea meant making physical tiles that could be arranged in any orientation. I wanted to test the idea and see what results it would yield when you could actually play with the various pattern elements. How would the colors interact as when the layers of underglaze reacted together? I placed an order with Georgie’s Clay in Portland, OR and immediately got a call back. “Was I aware that I had ordered bisque tiles that get fired at a cone 4 and high fire underglazes that were not compatible?” I responded that I was not aware of that, in fact I had no idea what I was doing, I was just a designer that thought I could glaze some tiles with pretty much no experience. I talked to Mijanou and made sure that everything I was buying was compatible with itself and the kilns capabilities. I called Georgie’s to confirm my order (they are extremely knowledgeable and helpful by the way) and hae it all shipped to Leavenworth. I used smaller four inch tiles as studies to develop a technique. I had sketched the lines in my drawing book and then rendered them in illustrator on the computer. 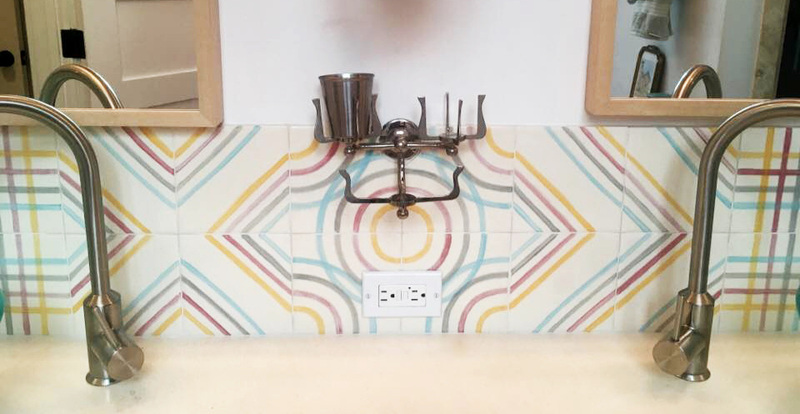 Drawing a perfect semicircle is one thing on the computer, but I had to get back to some hand craftsmanship to paint it onto the tiles. I spent the day making templates for spacing and curvature, testing brushes and painting lines until I could make perfectly spaced curves with consistent amounts of underglaze and widths in a single stroke. I also came up with the order in which I wanted to lay down the colors because it would affect the final look where the colors overlapped. Involved painting the full size six inch tiles. I quickly realized that I would not have time to do all six modules that I had originally thought about, but after I had painted four of the designs and played around with different arrangements it was so promising that I decided I only needed four different designs. I could make symmetrical repeating patterns or wildly erratic graphics, the options were endless. Sometimes I would just randomly lay them on a table to get them out of the way and surprise myself, whether in a two tile wide strip or as a solid rectangle it always worked somehow. When I had 40 tiles I dipped them all into a thick green glaze that was supposed to fire into a clear satin finish. Then I carefully stacked them all into the kiln using the spacers. It is like building a house of cards inside a furnace. Then I turned the kiln on around 4pm and let it do its thing as it would be at least 24hrs until I could open it up again. 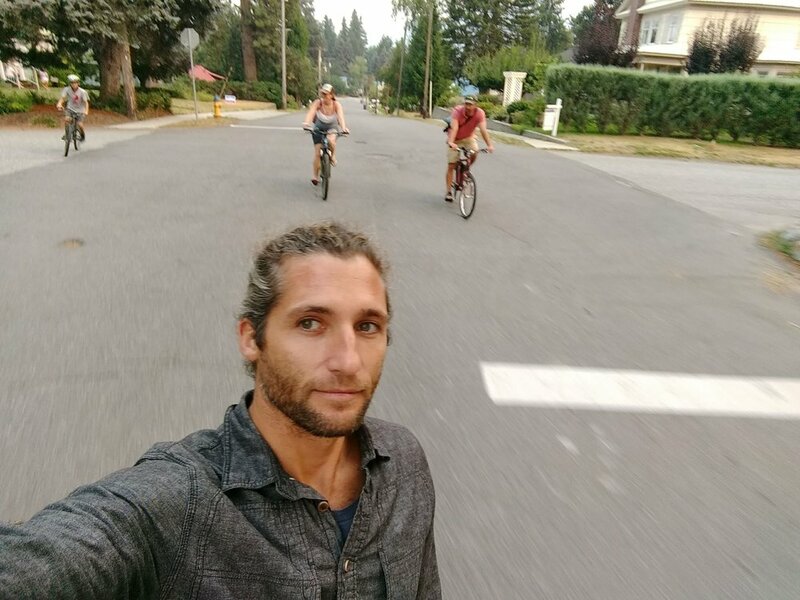 That evening we went to the local market, me on my skateboard and the Fortney’s on bikes like a green transportation gang, where we picked up some organic veggies and lamb for the grill. The kiln could not be opened until at least 4pm the next day Steve and I went for a bike ride in the mountains above Leavenworth. The riding was world class and I had rented a full suspension bike from Arlberg Sports Haus so the flowing downhill tracks felt dreamy. That afternoon I busied myself in the studio experimenting with some other things before opening the kiln. By 6pm I was able to pull out the tiles. 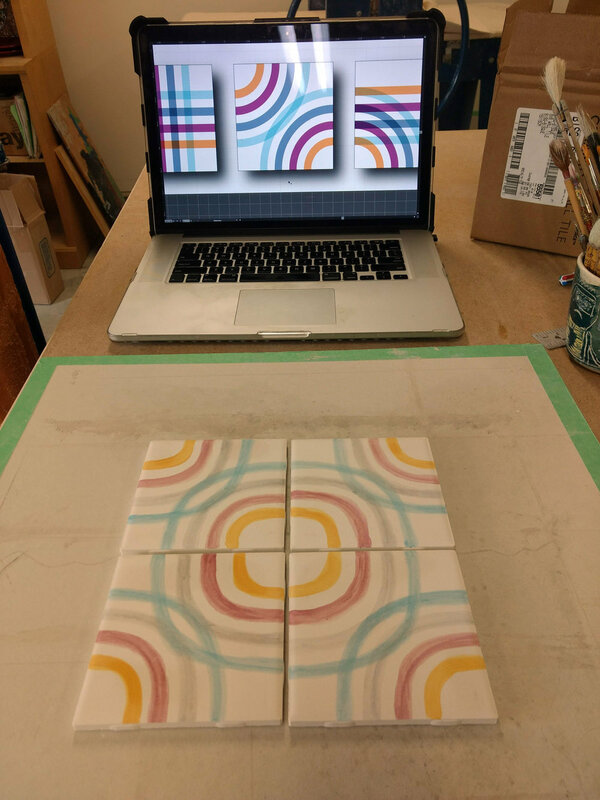 The glaze was crystal clear with a satin finish and the colors of the underglaze got even more intense, once again as I laid the tiles out to cool I got an entirely different perspective on how they could look. That night there was a neighborhood get together in the street with the kids playing basketball and the parents shooting the breeze. The next morning I had to hit the road back to Hood River. The clutch on my mom’s car gave out just as I got into town as if it held out just long enough to make it home. 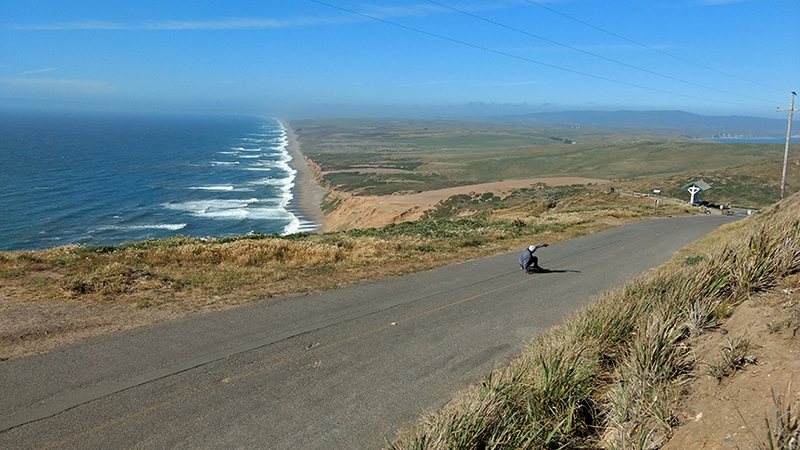 It was a whirlwind 3 days, but it all came together. 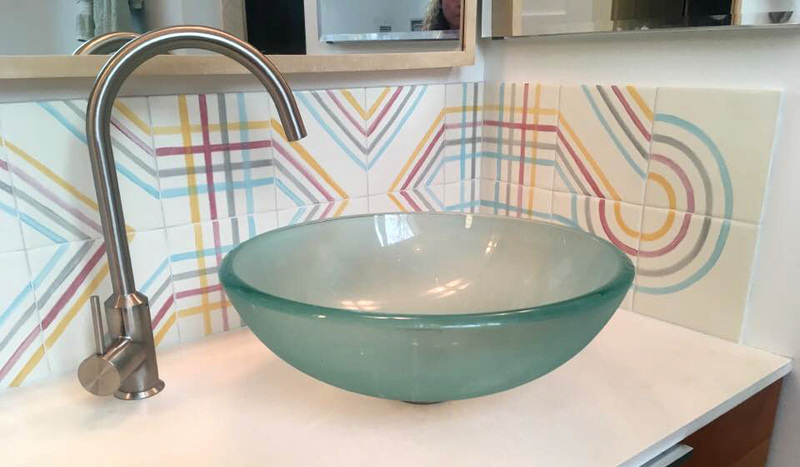 Below is the full gallery showing the tiles as they were installed by Delafield Design Develop @delafielddesign.